Chinese President Xi Jinping's state visit to Ecuador marked a historic moment in bilateral ties, Ecuador's Deputy Foreign Minister Fernando Yepez has said. Chinese President Xi Jinping's three-country tour in Latin America on Nov. 17-23 underscores the importance China attaches to its cooperation with the region, Venezuelan political analyst Vladimir Adrianza said. Latin American countries are forging closer ties with China in the hope that the Asian power can offer a chance for the modernization of their economies, Marcos Troyjo, a Brazilian political scientist, has said. Since China signed a free trade agreement (FTA) with Chile in 2005 bilateral trade has increased substantially, but there are still challenges. China-Latin America relations do not target the US as many US pundits who believe in the Monroe Doctrine have depicted. All in all, China is the largest developing nation and Latin America is the largest developing region. Similar development phases, identical development tasks, economic complementarities and resources potentials will drive bilateral cooperation. Emerging Chinese leadership is much needed in these uncertain times. The good news is that China has recently been demonstrating that it is ready to assume a key role in negotiations over the future of the global economy. 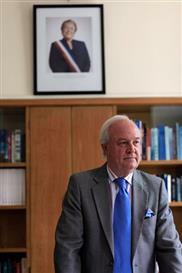 Get ready to see how this sense of responsibility for the direction of world development pans out in Lima. The persistent decline in oil prices has seriously impacted the economies of Latin American countries. As political and economic landscapes in Latin America continue to evolve, this situation will offer both challenges and opportunities for cooperation between China and Latin America. China is now constantly deepening its reforms and integrating into the international community. It firmly supports international trade liberalization and opposes trade protectionism. It backs opening-up, connectivity and tolerance while protesting seclusion, isolation and exclusion. It is promoting new global governance with real actions and will be a mainstay in the new era of globalization. President Xi Jinping's upcoming visit to Latin America (LatAm) is expected to improve the all-round cooperative partnership and usher in a new era of bilateral relations. Chinese President Xi Jinping is set to visit Ecuador on the first leg of his three-nation Latin American tour starting Thursday. Xi will be the first Chinese President to visit Ecuador since the two nations established diplomatic ties in 1980. 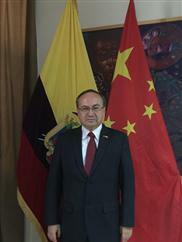 In an interview with Global Times reporter Song Shengxia (GT), Ecuadorian Ambassador to China, Jose Maria Borja (B) suggested that rather than generating bad publicity, Chinese investment in large infrastructure projects is warmly welcomed in Ecuador as well as Chinese financing, hands-on experience and advanced technology. Chinese President Xi Jinping’s forthcoming Latin American trip will be a milestone for both sides to deepen their exchanges and cooperation. The UN Economic Commission for Latin America and the Caribbean (ECLAC) holds great expectations from Xi’s visit. If it is able to do this, China’s arrival in Latin America will prove that our world is truly becoming multipolar. China is intentionally adjusting its economic ties with Latin American countries. Latin America’s basic infrastructure is not complete, and China can provide abundant know-how. Chinese President Xi Jinping returned home Friday after wrapping up his second visit to Latin America since taking office in March 2013.